The first Kids’ Night Out after summer break will be from 5 to 9 p.m. Friday, Aug. 26, at the Marshall Recreation Center. Children will spend the evening at the Rec playing great games, creating awesome crafts, swimming, and rock climbing. An evening snack also will be provided. Potty-trained children ages 4-12 will be able to interact with other kids during a fun, safe night at the Marshall Recreation Center. All they need to bring is a swimsuit, towel, change of clothes, and closed-toed shoes. For children whose families are members, the event is free. The cost for non-members is $35. Parents can register their children at the welcome desk or on the recreation center website. Advance registration is encouraged, but not required. 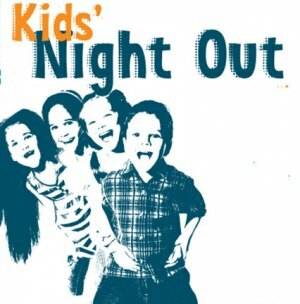 Kids’ Night Out will also be occurring on the following dates: Sept. 30, Oct. 14, Nov. 18, Dec. 16, Jan. 27, Feb. 17, March 31, April 28, and May 19. In addition to Kids’ Night Out, Marshall Campus Recreation will be offering day- and week-long camps throughout the year. Please check the schedule and any updates at http://www.marshallcampusrec.comand click on Youth Programs. For more information, please call the Recreation Center ProShop at 304-696-4REC (4732) or e-mail Chad Steen, Assistant Director of Adventure Recreation and Youth Programs, at steenc@marshall.edu.